Glossy accents is a 3 dimensional clear gloss medium. 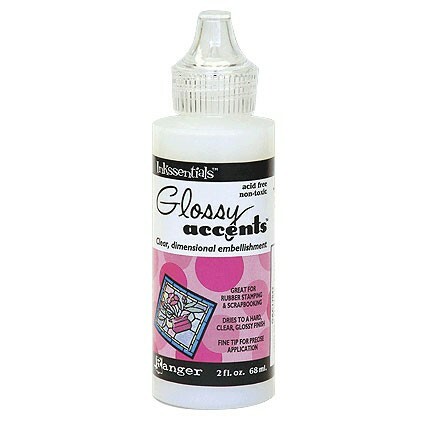 Use it to accent, brighten, magnify dimensionalize, bond and protect embellishments and designs. Dries to a hard, clear, shiny and resistant finish. The fine tip allows for a precise application.